3D printing has created amazing opportunities for those purchasing gifts for their loved ones. Gone are the days of a simple gift card; with MY3D Agency, you can print and create a gift your friend or family member is sure to love and cherish for years to come. Sports fans in particular are used to getting the same gift: jerseys, knick-knacks, or glasses and plates inscribed with their team name. 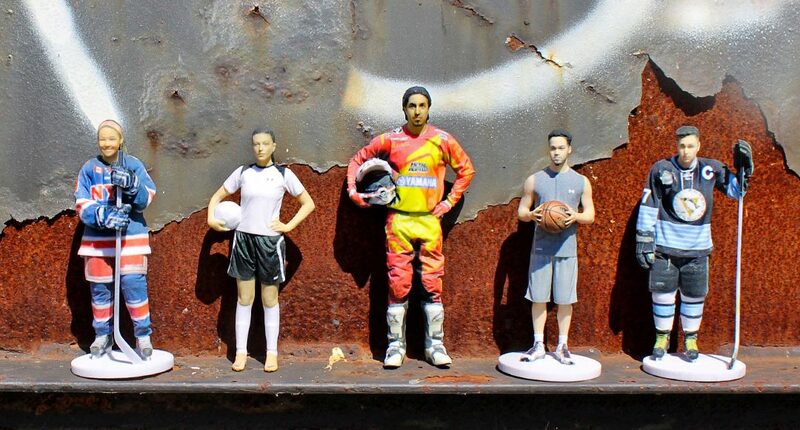 3D printing has created a wonderful opportunity to give the sports fan in your life a gift he or she will never forget, a 3D printed sports figure. This technology is especially useful to parents of minor league players, who want something more than a photo card of their young athlete in all of his or her glory. Simply put, the technology involves being scanned while wearing the items you want to be replicated in your 3D likeness. MY3D Agency will then recreate that image with a 3D model, with all the details intact. These models make a wonderful gift to parents who want to commemorate their own MVP in more significant way. 3D printing also provides the unique opportunity to see your favourite player off the field, or off-ice. It gives sports fans a chance to collect their favourite little star in all his or her roles, whether it be while engaged in the sport itself, or helping out mom and dad around the house. Once the person is scanned, you can have multiple copies of the same figure produced at a lower rate. This has a huge benefit for parents hoping to give both sets of grandparents, as well as aunts and uncles, a 3D printed figure of their little star. It also means that if something happens to the original figure, such as getting lost in a move, the file is saved on site, and can be reproduced without requiring additional scanning. Ready to get started and get your very own 3D scan? Contact MY3D Agency today at416-509-9030 or use our online form to find out more about custom 3D scanning and printing and how a 3D printed figure can be the ultimate gift for any sports fan.